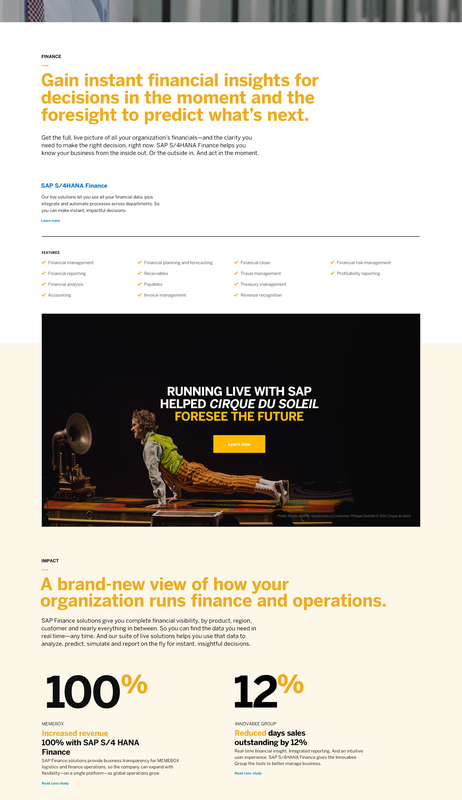 We built a customized website for SAP to promote its new business platform – Live Business. 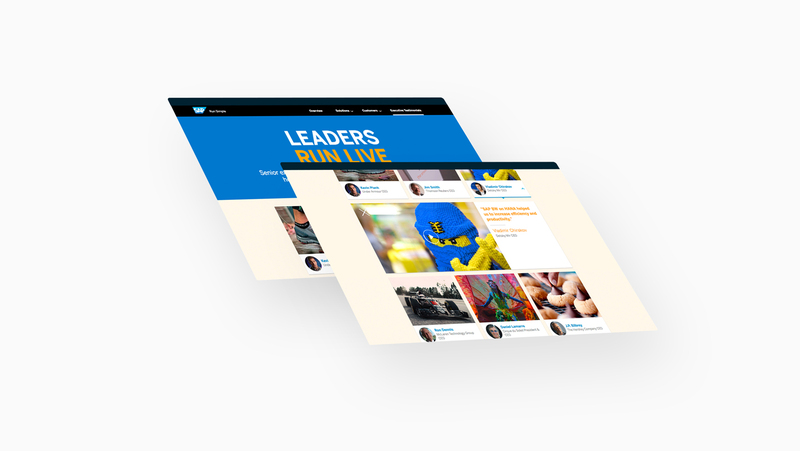 The primary objective of the SAP Live Business website was to create a responsive experience to attract and assist SAP’s customers to transform from traditional system into a digital real-time business platform. 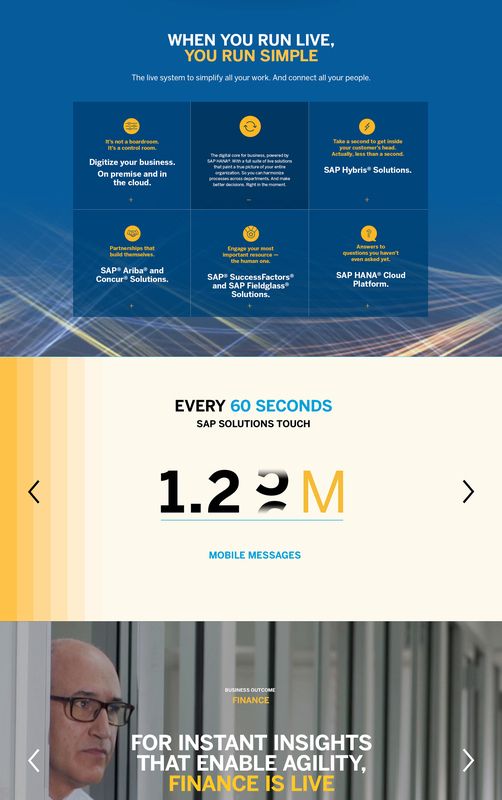 We successfully executed our vision by applying visual data and interactive real-time experience into the website The project was delivered in under six months and received overwhelmingly positive feedback from SAP executives team and we launched the new website at SAP annual conference SAPPHIRE NOW with over 20,000 attendees. 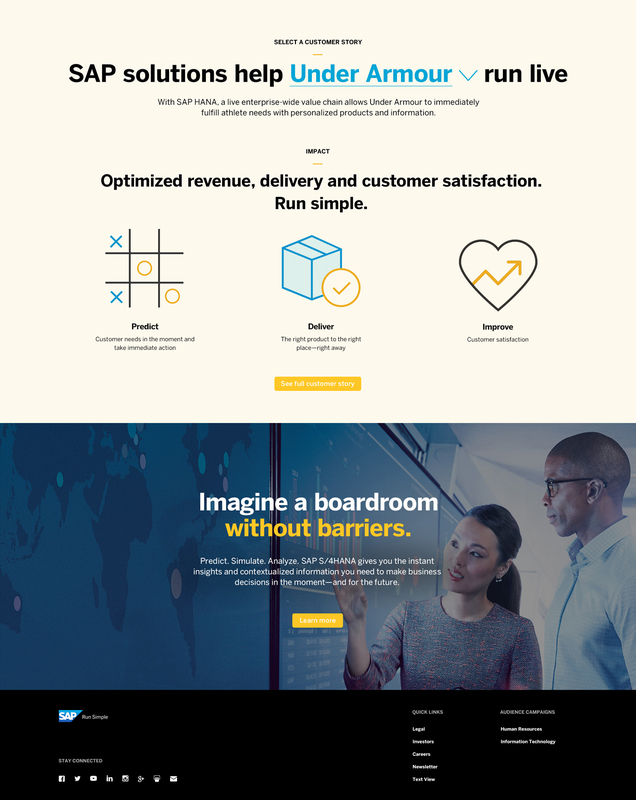 By utilizing Customer Stories, Business Solutions and Executives Testimonial to the homepage, prospective customers can fully understand how SAP real-time solutions enable enterprises businesses to success. 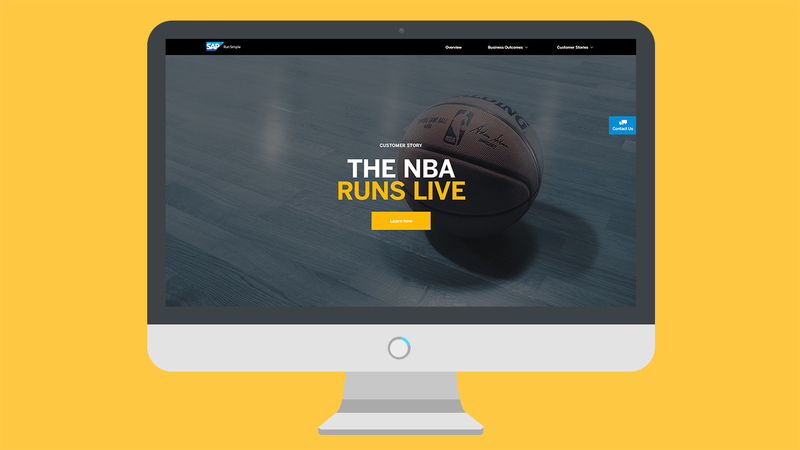 We use real-time data and visualization to storytelling other successful SAP Live Business customers such as NBA, Under Amour, NFL, and Nissan. I designed icons under each SAP impact section, so customers can process and visualize information. Including video of successful executives’ testimonial from the world’s top companies explain how SAP solutions empower their business. We worked with BBDO to create the storyboards and creative concepts for companies such as NBA, Under Armour and LEGO. We integrated and introduced SAP solutions to very industry from SME to Banking and business sectors from HR to IT. By analyzing solutions under each business sectors. Customers will know which solutions suit their businesses the best.